On Tuesday, Capt’n in Training and I, along with two friends, visited Capt’n’s niece at Disney World. Our first stop was Epcot Center. We arrived at Epcot at around 8:45 am and we got a great place to park and were happy that there didn’t seem to be too many people. 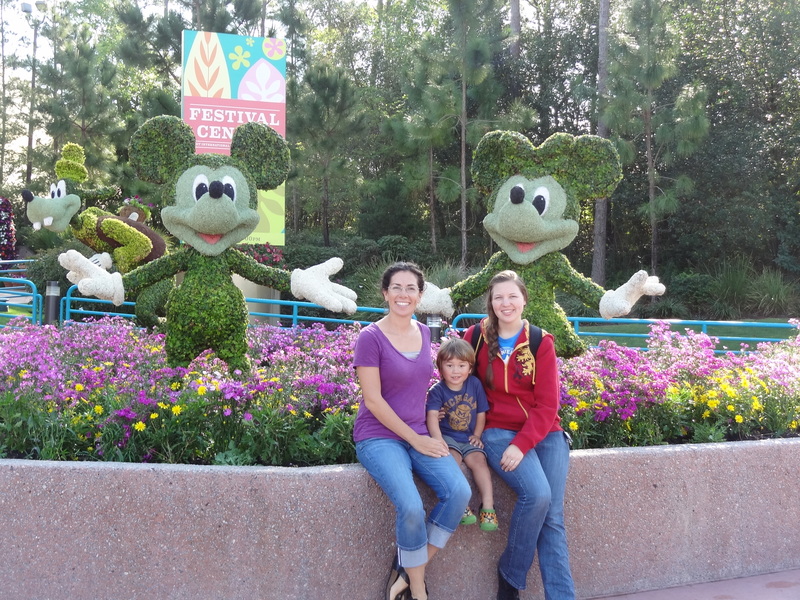 We wanted to go to Epcot to see the Flower and Garden Show (https://disneyworld.disney.go.com/events-tours/epcot/epcot-international-flower-and-garden-festival/). 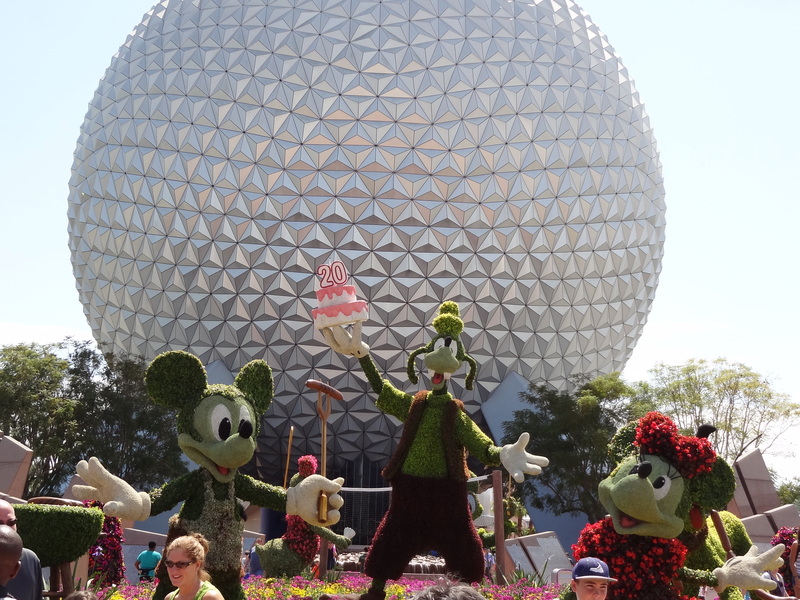 There are topiaries and themed gardens located throughout the park. At first I wondered if this flower show would be boring for the kids (2 and 12 year olds), but they loved it. 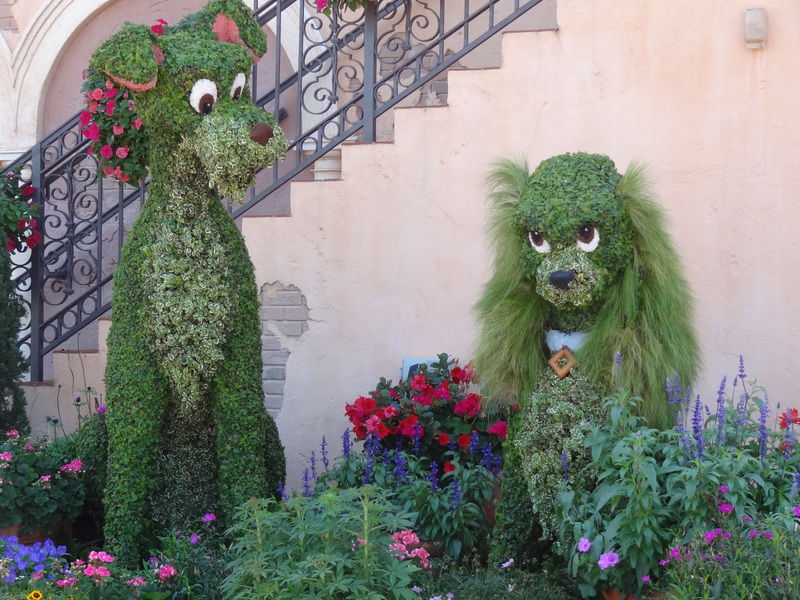 They enjoyed looking at the different topiary Disney characters as we walked around Epcot. In addition, many of the themed gardens had games or playgrounds for the kids to play at. There was even a butterfly garden where you could see many species of butterflies. I was most pleased to see modest priced healthy food options at Epcot. Scattered throughout World Showcase were kiosks offering various healthy food items, at a very reasonable price. I highly recommend checking it out if you are in the area. We left Epcot at about 2:00 and took a bus to Animal Kingdom. Our first stop was the safari ride. I did not expect to see many animals since it was a hot afternoon, but I was pleasantly surprised. We saw many different species of animals and the highlights were watching the Bongo’s cross the road right in front of us, and watching the baby warthog. We also got totally soaked on the Kali River Rapids ride, said good bye to Capt’n’s niece at It’s Tough to Be a Bug, and left for Magic Kingdom. 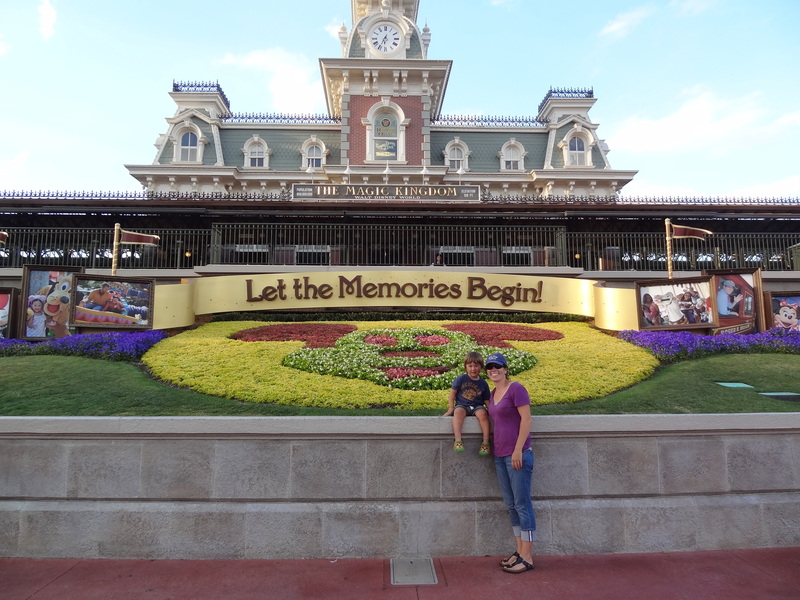 We arrived at Magic Kingdom at about 6:00 or so and went straight to Tomorrowland. While our friends went on Stitch’s Great Escape (and were disappointed), I watched Capt’n in Training chase birds and bubbles. After having a quick dinner, our friend’s son and Capt’n in Training raced through the Test Track (twice in a row!) 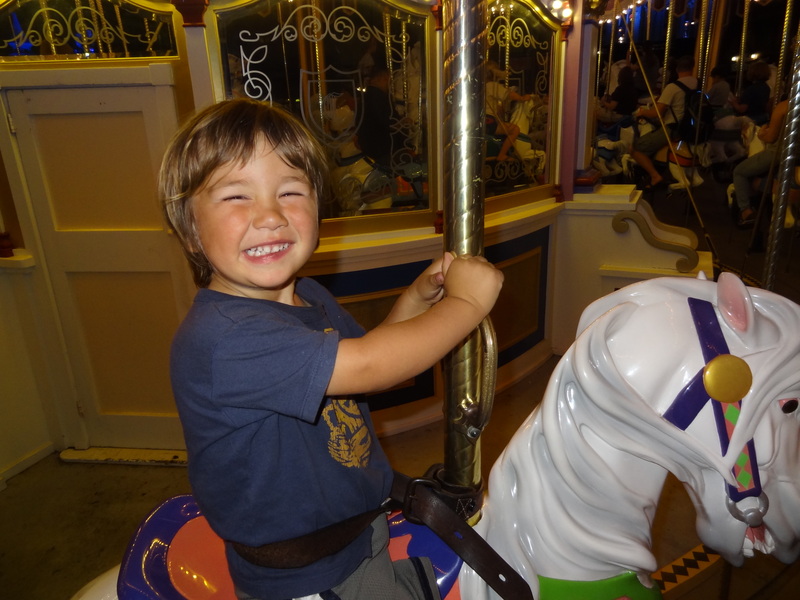 and then headed over to Fantasyland where we went on Capt’n in Training’s favorite ride: Dumbo (again, twice in a row), following his first carousel ride. By this time it was almost 10 pm, it was time for the fireworks display. We did not want to face the crowds exiting the park, so we slowly walked to the park entrance and would periodically turn back to watch some of the fireworks. We took the monorail back to Epcot, found the car and headed back to Satellite Beach. Arrived at Satellite Beach at around midnight, woke up a very tired Capt’n in Training, and took the dinghy back to the boat. I think we are still recovering from the long, exciting day at Disney.